This has been a long awaited feature, our users have started voting in the feature on the community support almost 2 years ago and it's almost a year since we've decided to include this in the new release. 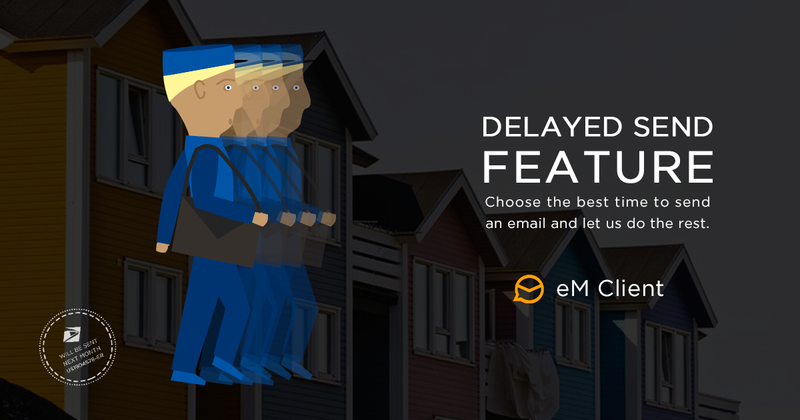 Finally, eM Client 7 will include a delayed send feature option that you can use to schedule your messages to send on a specific time. This can be helpful when communicating overseas or if you just have something unconfirmed. You'll be able to use this option by navigating to the File Menu of new message window, similarly as you may be used to from sending Mass Mail.